Scouting Lochsa Falls, Lochsa River, Idaho. Photo by Dirt Myth Photography. As the saying goes, “there’s more than one way to skin a cat,” the same can be said for running Lochsa Falls at high water. 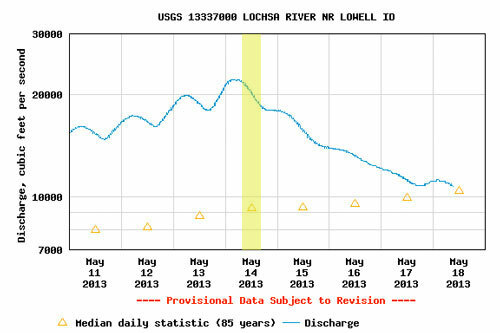 Twice in the last three years, the Lochsa has peaked just above 20K (9ft), making the run a good old hootenanny. This coming spring looks to be just as promising. 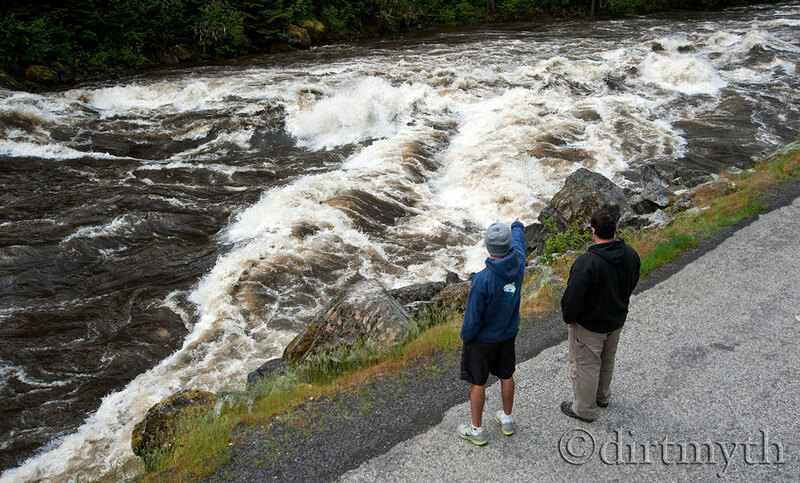 And with the big water will come the carnage at Lochsa Falls. When I first scouted Lochsa Falls the level was 20K on the gauge. The V wave at the Falls looked intimidating and something I wanted to avoid. 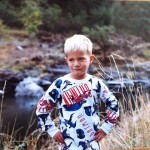 This notion was quickly proved wrong. 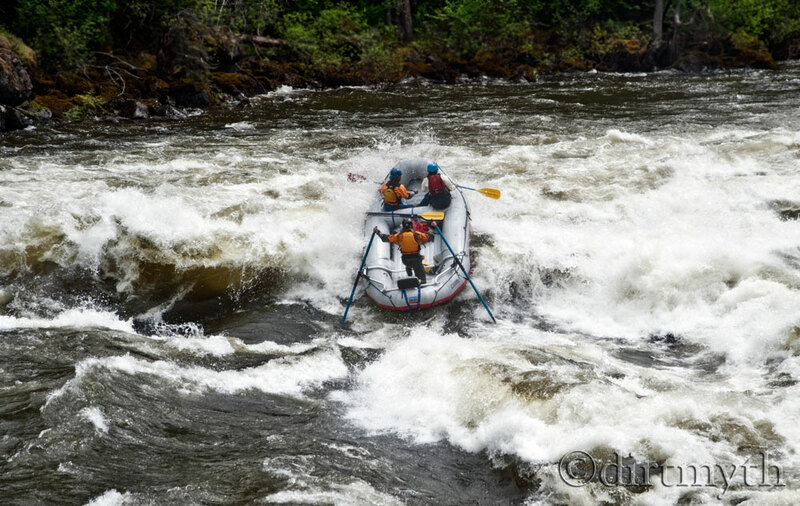 As we were scouting from the road, an oar rig with two paddle assist came in charging hard into the V wave. The oarsmen knew exactly what he was doing; he was moving from river right to the left, and angled directly towards the left side of the crashing V wave. He had a perfect line smooth as butter, no one in his boat got wet. Rafting Lochsa Falls on the Lochsa River, Idaho. Still, I was nervous so I went with the more conservative line, left of center. The Lochsa veterans called the move “Satan Gut” line. The line is to enter left-of-center and continue to work left while threading the needle between big holes on both sides of you. A year later I tried the right of center-line. When I came into the wave, I noticed it was building and building, and on cue it crashed directly on my boat. Like a stop light, the wave went from Green to Red in an instant. Stopped us dead, surfed us, then flipped the boat. We had no chance.